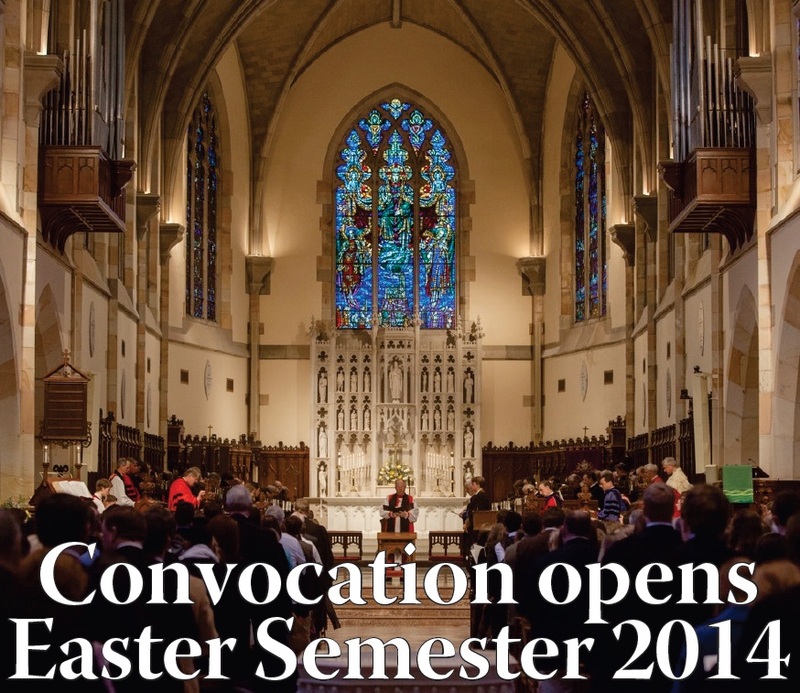 On Friday, Jan 17, the University officially opened the Easter 2014 semester with the traditional Convocation ceremony. Honorary degrees were awarded to Marilyn Rae Nelson and Louise Shillingburg Cowan, who gave the convocation address. Ending the service, 98 students were inducted into the Order of the Gownsmen, 17 of whom were previously inducted in absentia. Cowan, a critic of southern literature, especially of the Fugitive Poets and the Southern Agrarians, was introduced as “the last direct heir to the Fugitive’s legacy.” She studied under and befriended Donald Davidson, a founding member of the Fugitives, during her graduate studies. Sewanee also has a close relationship with both the Fugitives and Agrarians, through Andrew Lytle and Allen Tate, both of whom edited The Sewanee Review. Though she is in her 90s, Cowan delivered a thought provoking and insightful speech, questioning what it means for Sewanee to be the University of the South, including what it means for the “the South” to be a cultural and geographic region. She insisted that “the identity of an institution itself should be unwavering,” adding that it is the duty of a university to preserve and promote the best parts of society. She stressed what she believes to be a Southern emphasis on texture, and warned against modernity’s sacrifice of texture for efficiency. Cowan lauded Sewanee’s attention to poetry as one of the South’s many textural traditions, and argued for the continuation of poetic respect and reverence in education. Ultimately,she concluded that Sewanee should sustain the noble destiny of America’s scholars. Nelson also received an honorary Doctorate of Letters. As a poet, she also represented the “poetic reverence” Cowan attributed to Sewanee. More information on Nelson’s poetry and readings can be found here. As is tradition, the honorary degrees were conferred in Latin.